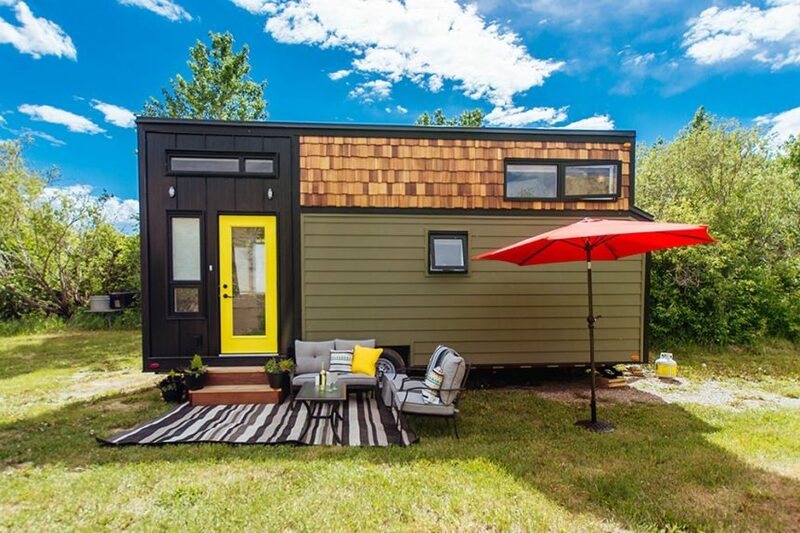 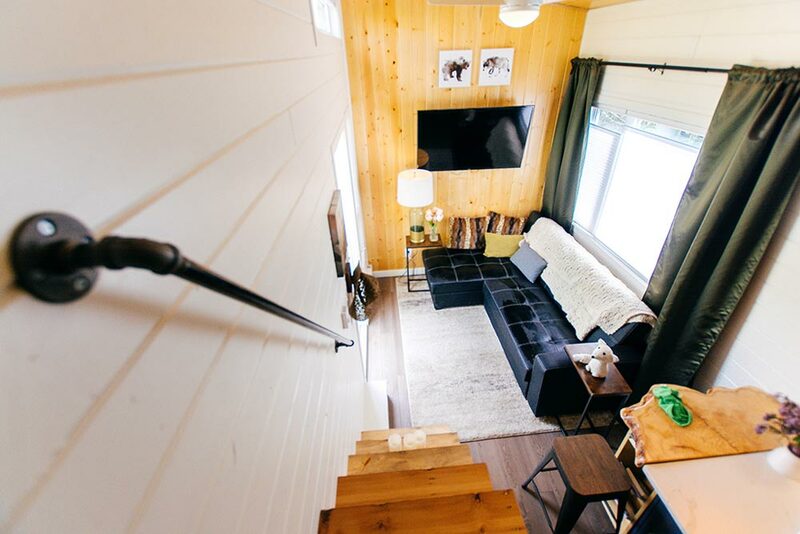 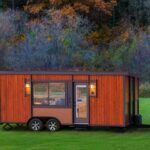 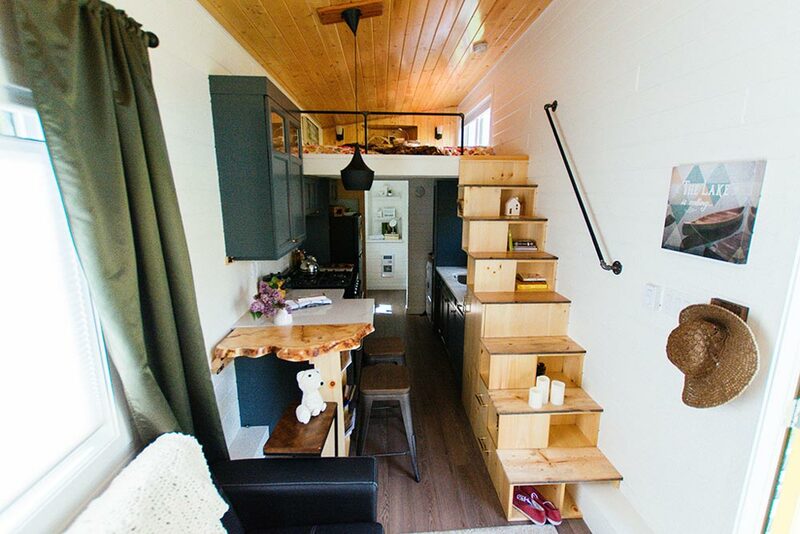 Founded by Jennifer McCarthy, Teacup Tiny Homes is based in Lethbridge, Alberta, about an hour north of the US border. 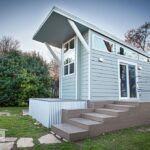 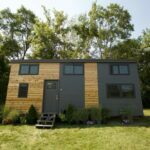 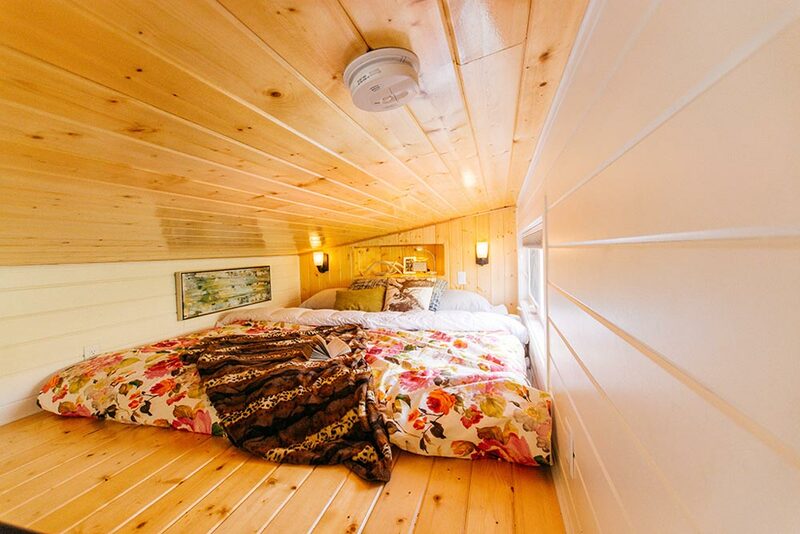 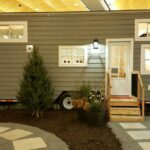 The Canadian tiny home builder has over 14 years of experience in residential design and construction. 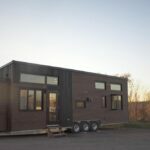 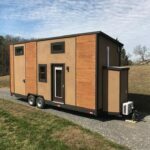 One of their first builds, the 24-foot Not So Lonely Wanderer, has 202-square-feet on the main floor and 98-square-feet in the bedroom loft. 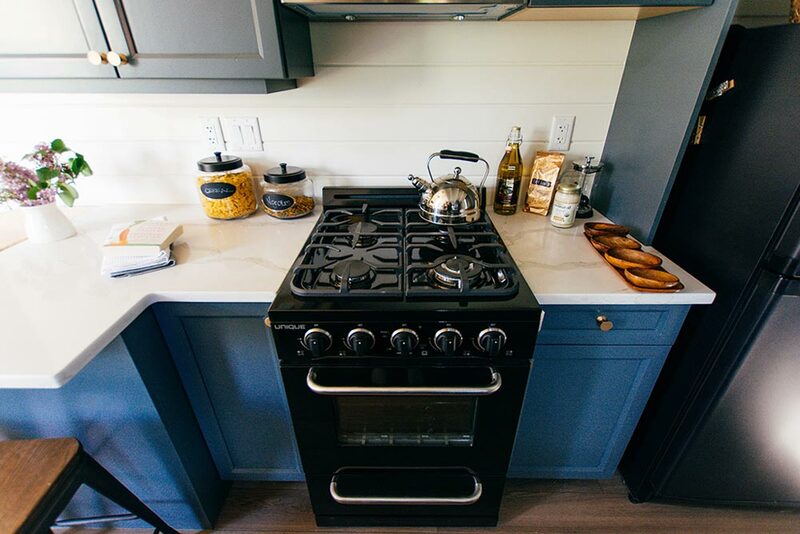 The galley kitchen features a four burner gas stove, a deep single bowl sink, an apartment size refrigerator, upper cabinets, and a full height pantry. 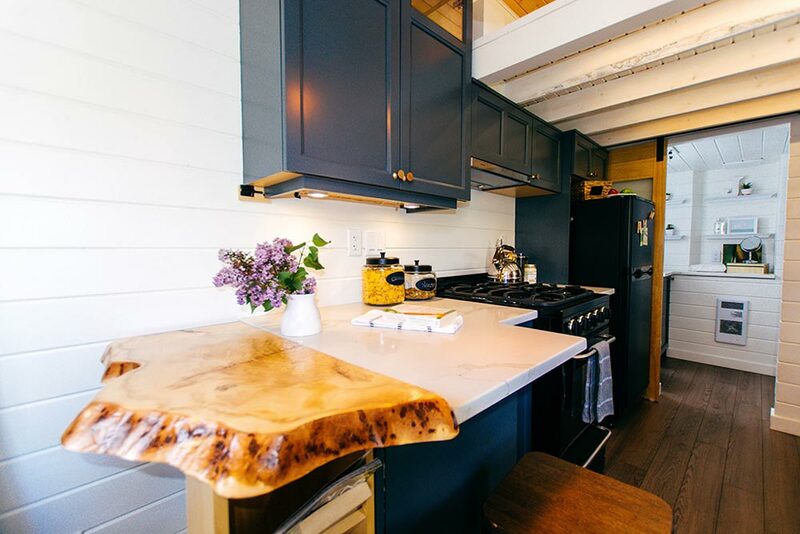 The counter has an overhang and a fold down table, which combine to provide seating for three. 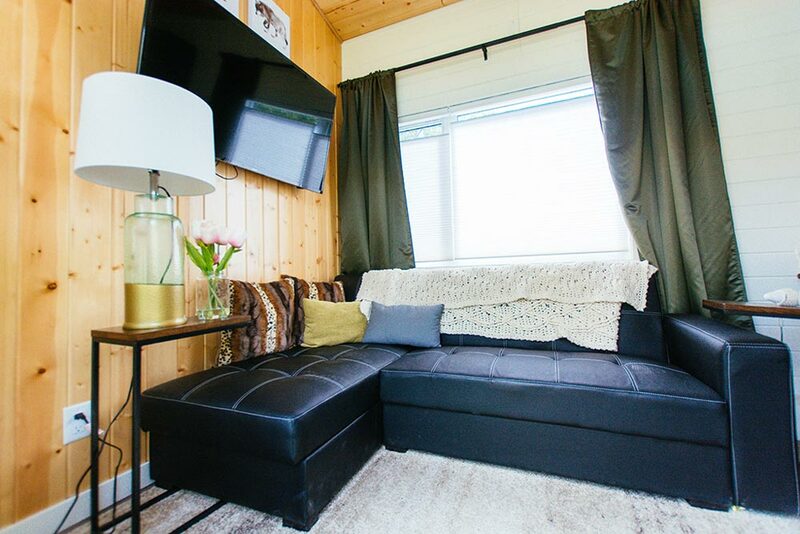 The living area has a large L-shaped pull-out sofa with sleeping space for two guests. 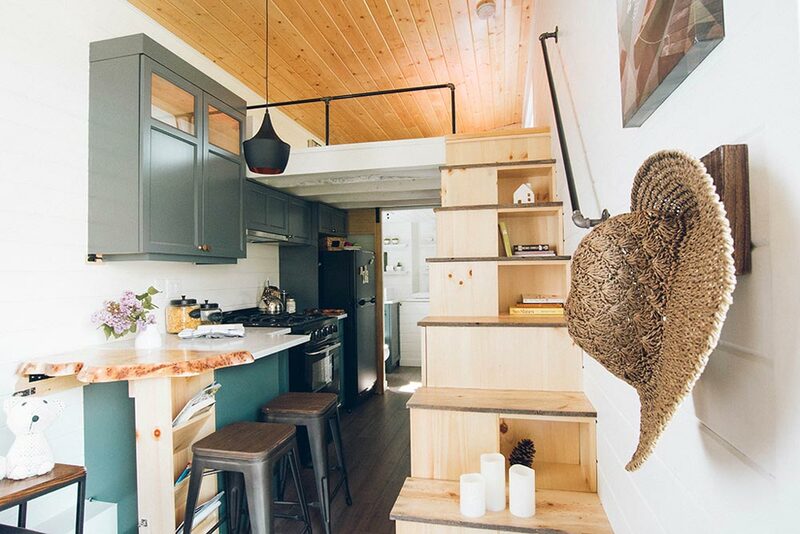 The custom storage stairs have reclaimed, 100-year-old fir treads and lead up to the bedroom loft, which is large enough for a king bed, plus it has shelving space for storage. 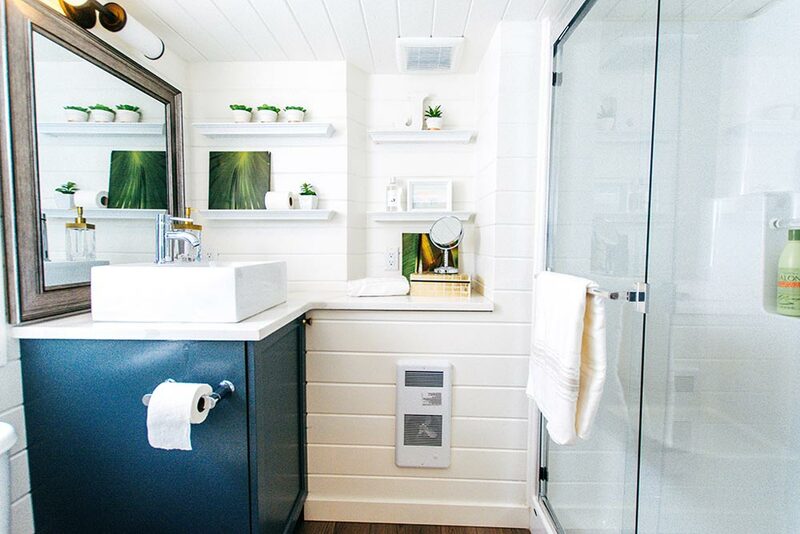 The bathroom has a full size shower with glass door, plentiful counter space, and vessel sink. 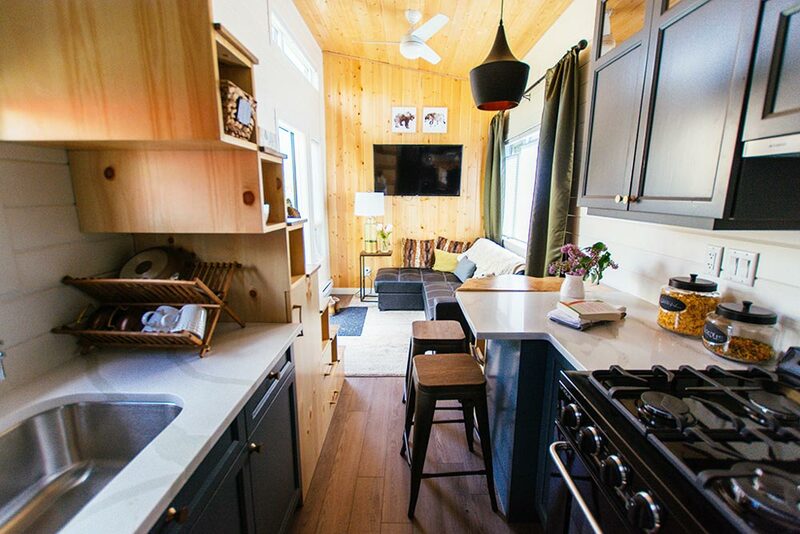 For more information about the Not So Lonely Wanderer, you can visit the Teacup Tiny Homes website. 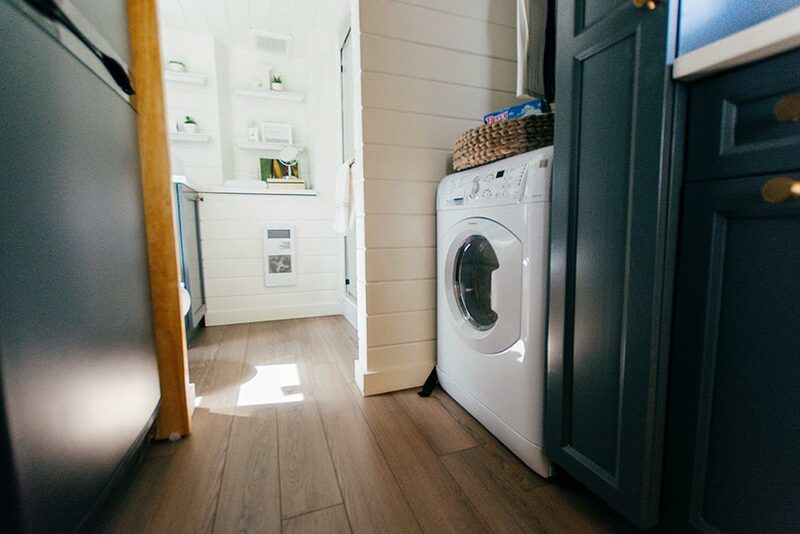 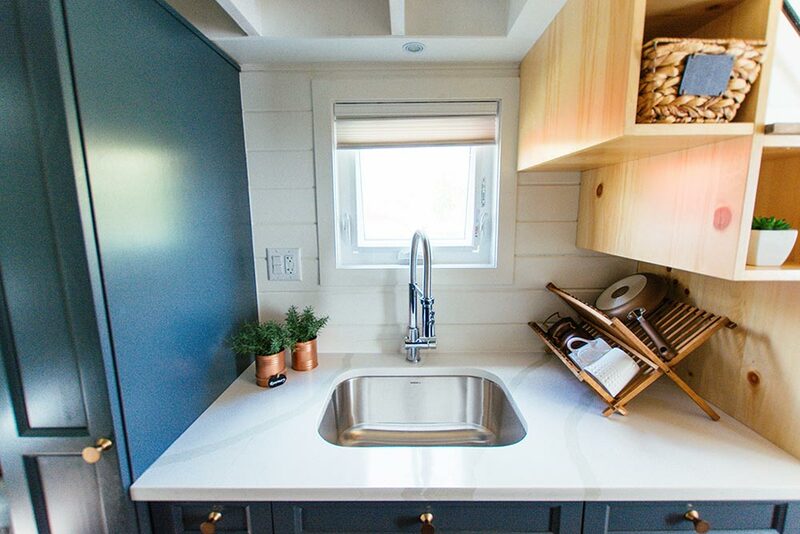 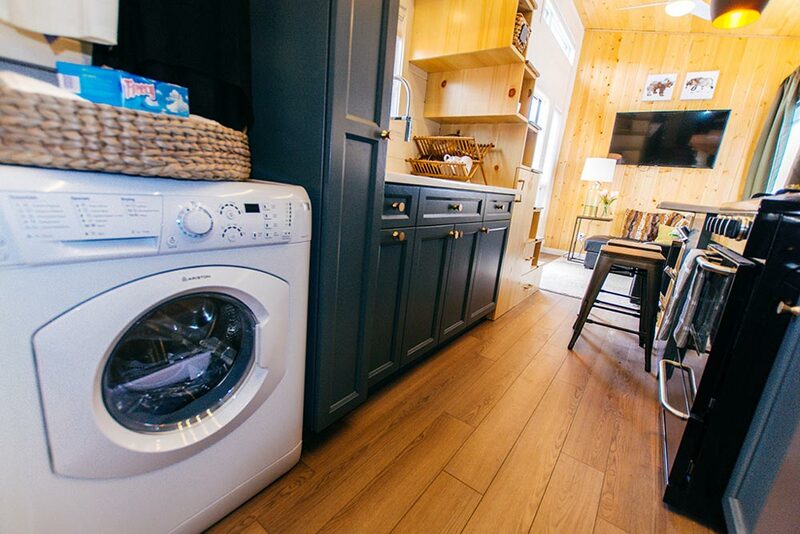 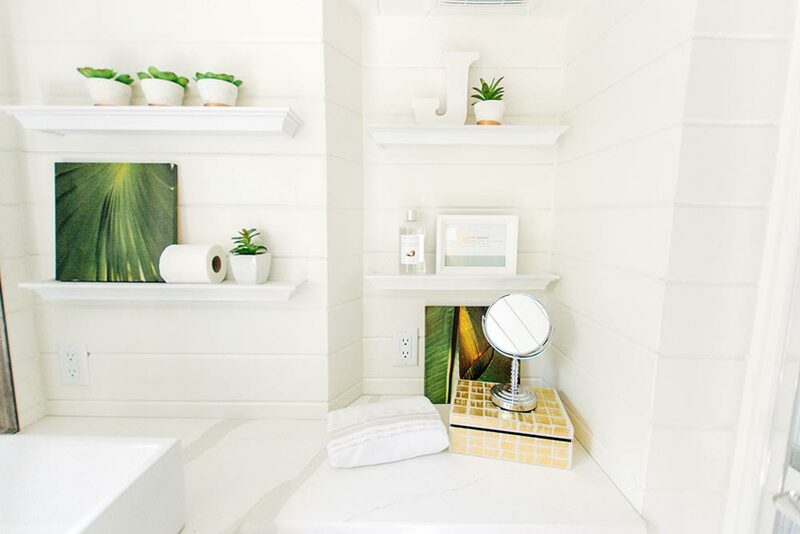 Open Concept by TexZen Tiny Home Co.